On August 8, 2017, BioAmber Inc. (the “Company”) entered into an underwriting agreement (the “Underwriting Agreement”) with Rodman & Renshaw, a unit of H.C. Wainwright & Co., LLC, as the underwriter, to issue and sell 14,666,667 shares (the “Underwritten Shares”) of common stock, par value $0.01 per share (the “Common Stock”), of the Company, together with warrants to purchase up to 14,666,667 shares of Common Stock with an initial exercise price of $0.75 per share of Common Stock (the “Underwritten Warrants”), subject to adjustment as described in the Underwritten Warrants, at a price to the public of $0.75 per fixed combination (the “Public Offering Price”) consisting of one share of Common Stock and associated Underwritten Warrant to purchase one share of Common Stock. The Underwritten Warrants have a term of five (5) years, exercisable upon the date of issuance. The Underwritten Shares and Underwritten Warrants were offered by the Company to a shelf registration statement on Form S-3 (File No. 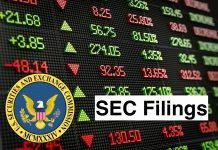 333-215408) and a related prospectus, including the related prospectus supplement, filed with the Securities and Exchange Commission (the “Offering”). The Offering closed on August 11, 2017. The Company also granted the underwriter a 30-day option to purchase up to an additional 2.2 million Underwritten Shares and/or Underwritten Warrants to purchase 2.2 million Underwritten Shares at the Public Offering Price. Concurrent with the Offering, the Company entered into subscription agreements (the “Subscription Agreements”) with certain of the Company’s officers and directors (collectively, the “Investors”) to issue and sell to the Investors in a private placement (the “Private Placement” and, together with the Underwritten Offering, the “Offerings”) an aggregate of 273,331 shares of Common Stock (the “Private Placement Shares”), together with warrants to purchase up to 273,331 shares of Common Stock with an initial exercise price of $0.75 per share of Common Stock (the “Private Placement Warrants” and, together with the Underwritten Warrants, the “Warrants”), subject to adjustment as described in the Private Placement Warrants, at a price per fixed combination equal to the Public Offering Price. The Company expects that the Private Placement will close on or about August 15, 2017, subject to the satisfaction of certain closing conditions. The Company estimates that the net proceeds from the Offerings, assuming no exercise of the Warrants offered in the Offerings, to be approximately $10.3 million, after deducting underwriting discounts and estimated offering expenses payable by the Company. The Company expects to use the net proceeds from the Offerings for working capital and other general corporate purposes. to the terms of the Underwritten Warrants, the number of shares of Common Stock that may be acquired by any holder upon any exercise of any Warrant is limited to the extent necessary to insure that, following such exercise (or other issuance), the total number of shares of Common Stock then beneficially owned by such holder and its affiliates and any other persons whose beneficial ownership of common stock would be aggregated with the holder’s for purposes of Section 13(d) of the Securities Exchange Act of 1934, as amended (the “Exchange Act”), does not exceed 4.99% of the total number of issued and outstanding shares of Common Stock (including for such purpose the shares of common stock issuable upon such exercise). The holder may elect to change this beneficial ownership limitation from 4.99% up to 9.99% of the total number of issued and outstanding shares of Common Stock (including for such purpose the shares of common stock issuable upon such exercise) upon 61 days’ prior written notice. The Private Placement Warrants will not contain a beneficial ownership limitation. Warrant. In addition, in the event the Company completes a fundamental transaction, the holders of the Warrants will have the right to require the Company or its successor, to repurchase the remaining unexercised portion of the Warrants at their then-current Black-Scholes Value (as defined) exercisable solely within thirty (30) days of the closing of a fundamental transaction. Holders of Warrants must surrender payment in cash of the aggregate exercise price of the shares being acquired upon exercise of the Warrants. Holders of Private Placement Warrants are entitled to a “cashless exercise” option at any time during the term of the Private Placement Warrants. Holders of Underwritten Warrants are entitled to a “cashless exercise” option if, at any time of exercise, there is no effective registration statement registering, or no current prospectus available for, the issuance or resale of the shares of Common Stock underlying the Underwritten Warrants. The “cashless exercise” option entitles the holders of Warrants to elect to receive fewer shares of Common Stock without paying the cash exercise price. The number of shares to be issued would be determined by a formula based on the total number of shares with respect to which the Warrant is being exercised, the market price per share of Common Stock at the time of exercise and the applicable exercise price of the Warrants issued in the Underwritten Offering. The Company will provide certain rescission rights and buy-in compensation to a holder if it fails to deliver the shares of Common Stock underlying the Warrants by the first trading day after the date on which delivery of the stock certificate is required by the Warrant. With respect to the rescission rights, the holder has the right to rescind the exercise if stock certificates are not timely delivered. The buy-in compensation applies if after the first trading day on which delivery of the stock certificate is required by the Warrant, the holder purchases (in an open market transaction or otherwise) shares of Common Stock to deliver in satisfaction of a sale by the holder of the Warrant shares that the holder anticipated receiving from us upon exercise of the Warrant. The Company is not required to issue fractional shares upon the exercise of the Warrants. The Warrants contain full ratchet anti-dilution protection upon the issuance of any Common Stock, securities convertible into Common Stock or certain other issuances at a price below the then-existing exercise price of the Warrants, with certain exceptions. The Underwriting Agreement contains customary representations, warranties, and agreements by the Company, and customary conditions to closing, indemnification obligations of the Company and the underwriter, including for liabilities under the Securities Act of 1933, as amended (the “Securities Act”), other obligations of the parties, and termination provisions. The Underwriting Agreement is attached hereto as an exhibit to provide investors and security holders with information regarding its terms. It is not intended to provide any other factual information about the Company. The representations, warranties and covenants contained in the Underwriting Agreement were made only for purposes of the Underwriting Agreement and as of specific dates, were solely for the benefit of the parties to the Underwriting Agreement, and may be subject to limitations agreed upon by the contracting parties, including being qualified by confidential disclosures exchanged between the parties in connection with the execution of the Underwriting Agreement. Each of the Subscription Agreements contains customary representations, warranties and agreements by the Company, and customary conditions to closing. The form of subscription agreement entered into by each of the Investors is attached hereto as an exhibit to provide investors and security holders with information regarding its terms. It is not intended to provide any other factual information about the Company. A copy of the opinion of Goodwin Procter LLP relating to the legality of the issuance and sale of the Common Stock in the Underwritten Offering (including the Common Stock underlying the Underwritten Warrants) and the enforceability of the Underwritten Warrants is attached as Exhibit 5.1 hereto. Copies of the Underwriting Agreement, the Subscription Agreement, the Form of Underwritten Warrant and the Form of Private Placement Warrant are filed herewith as Exhibits 1.1, 4.1 and 4.2, and 99.1 respectively, and are incorporated herein by reference. The foregoing description of the Offerings and the documentation related thereto does not purport to be complete and is qualified in its entirety by reference to such Exhibits. On August 7, 2017, the Company issued a press release announcing the proposed Offering and on August 8, 2017, the Company issued a press release announcing the pricing of the Offering. Copies of the press releases are furnished as Exhibits 99.2 and 99.3 hereto and incorporated herein by reference. The information contained in this Item 1.01, including Exhibits 99.2 and 99.3, is being “furnished” and shall not be deemed “filed” for purposes of Section 18 of the Securities Exchange Act of 1934, as amended (the “Exchange Act”) or otherwise subject to the liability of that section or Sections 11 and 12(a)(2) of the Securities Act of 1933, as amended (the “Securities Act”). The information in this Item 1.01, including Exhibits 99.2 and 99.3, shall not be incorporated by reference into any registration statement or other document to the Securities Act or into any filing or other document to the Exchange Act, except as otherwise expressly stated in any such filing. Underwriting Agreement dated as of August 8, 2017 by and between BioAmber Inc. and Rodman & Renshaw, a unit of H.C. Wainwright & Co., LLC. Form of Warrant to Purchase Common Stock of BioAmber Inc.
Form of Warrant to Purchase Common Stock of BioAmber Inc. (Private Placement). Consent of Goodwin Procter LLP (contained in Exhibit 5.1). Form of Subscription Agreement (Private Placement). Press Release, dated August 7, 2017. Press Release, dated August 8, 2017.
in BioAmber’s public filings with the SEC, including the risks discussed under the heading “Item 1.A Risk Factors” in the company’s Annual Report on Form 10-K for the fiscal year ended December 31, 2016 and Quarterly Report on Form 10-Q for the quarter ended June 30, 2017. You should consider these factors in evaluating the forward-looking statements included in this current report on Form 8-K and not place undue reliance on such statements. The forward-looking statements are made as of the date hereof, and BioAmber undertakes no obligation to update such statements as a result of new information.